SVP supports international companies as they enter the German, Austrian and Swiss markets. 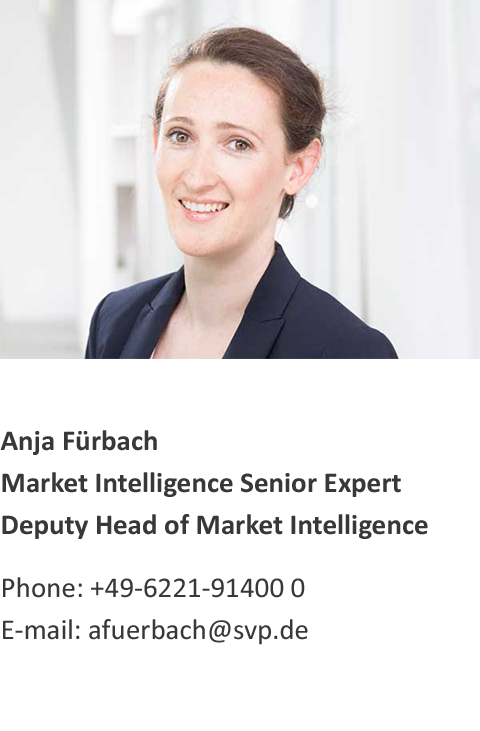 We have tremendous sector-specific expertise when it comes to market or location analyses, as well as identifying clients or business partners in the DACH region. Particularly in Germany, the ICT sector has experienced more growth in recent years than the economy as a whole. With over 1 million employees and sales of roughly EUR 160 billion, the sector is becoming even more important to society as a whole. The digital transformation we’re experiencing economically and socially presents us with both the greatest challenges and opportunity in decades. Issues like the transition of IT companies from IT vendors to IT service providers and network partners, industry 4.0, cloud computing, agility, sourcing and big data are key topics in the industry. 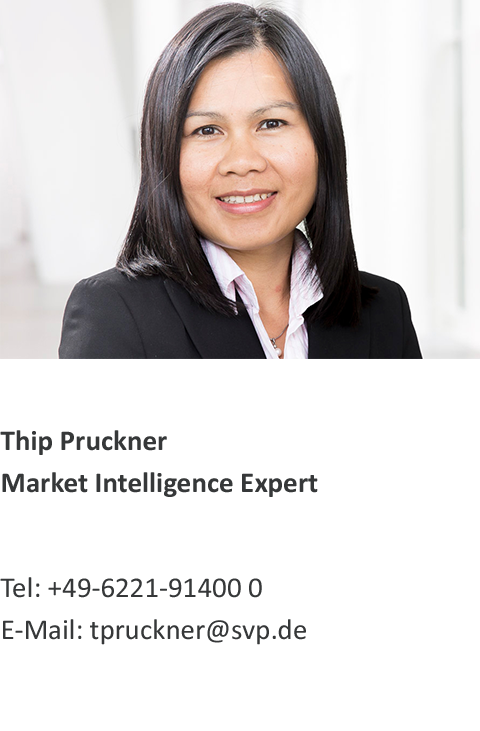 We support our clients by providing trend and market analyses, competition reports and by identifying suppliers. Some IT companies are now considering whether they should also offer their standard IT products in the cloud. We support these companies on the global markets, as well as the German market, by providing analyses of how commercial users think and what they’re looking for, as well as preparing reports on competitors’ cloud business models. We deliver detailed studies on new target markets, including Africa, Germany Austria or growing sectors with an IT focus, as well as the mechanical engineering sector. 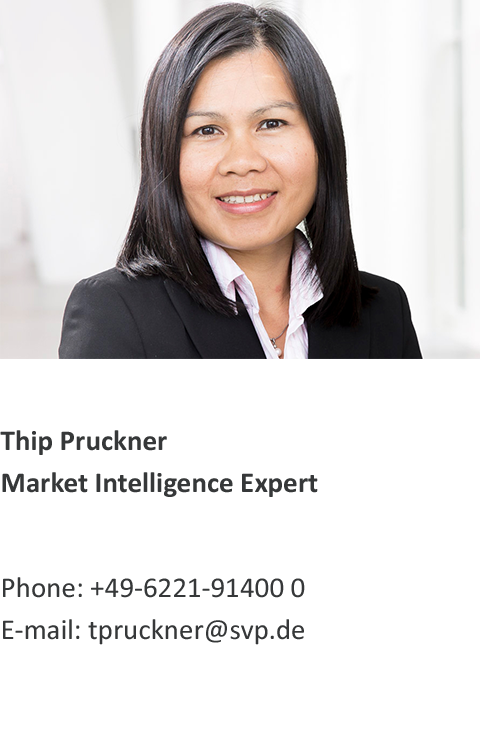 SVP’s sector reports and market analyses in international markets deliver the information you need to make strategic decisions. In order to identify potential and possibilities in new markets, SVP can help by identifying key players and offer you critical insights into customer-specific company provides for fundamental decisions.